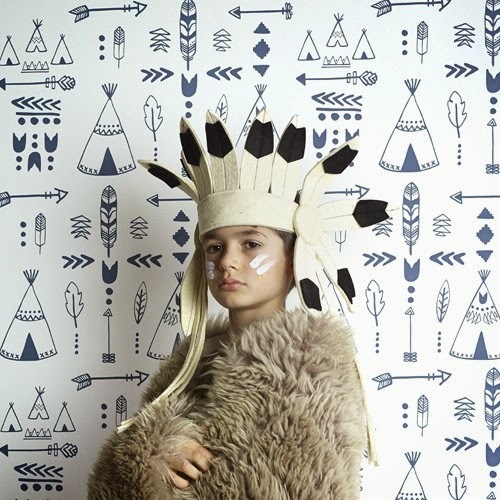 Another great new children's wallpaper design by Hibou Home. 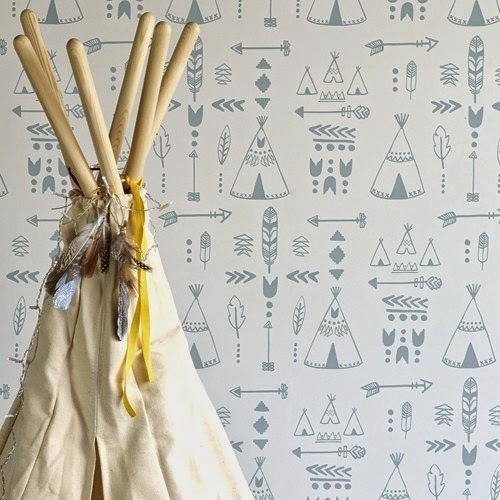 Teepees, arrows, tribal motifs and feathers adorn our native inspired wallpaper. Perfect for your mini adventurer!